“Alexander has written a book of dazzling sparkle, charm and intellectual range. Her eleven chapters in The Biologist’s Mistress make an easy tour through some very difficult terrain, and always one is aware of a sturdy armature of argument, lightly carried.” –Angus Fletcher, author of New Theory for American Poetry and Time, Space and Motion in the Age of Shakespeare. 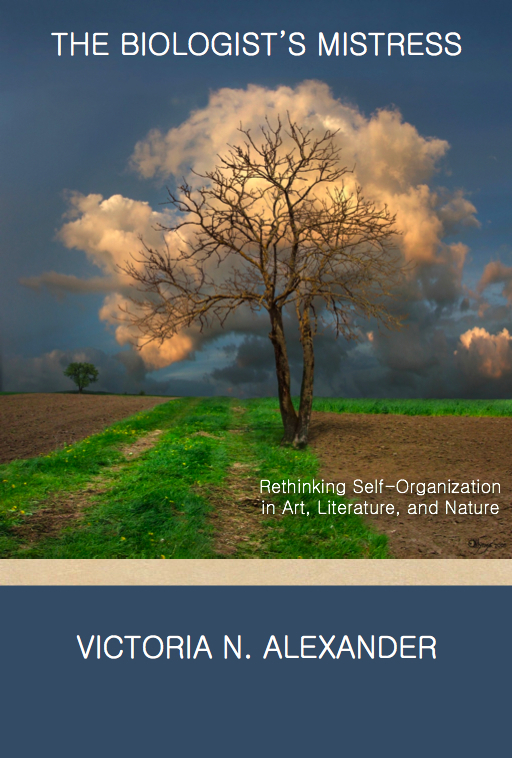 This “very personal inquiry into creativity, as apprehended by way of teleology with its historical depth reconceives final cause in connection with the process of self-organization, …bridging the ‘two cultures,’ and allowing cross reflection between them.” –Stanley Salthe, author of Development and Evolution and Evolving Hierarchical Systems. “Looking at the role of purpose in art and life, The Biologist’s Mistress should strongly appeal to those interested in the dovetailing of the sciences and the arts, and especially those enthralled by literary criticism and the craft of fiction. In the end it is a kind of modern artistic manifesto, telling us what we’ve been missing and why.”–Dorion Sagan, co-author of Microcosmos and Into the Cool. “Alexander has an uncanny way of anticipating critical artistic concerns – how much of what we produce is directed, and how much owes to chance? – and then rephrasing the issues in ways that illuminate and promote creativity itself.” –Ellen K. Levy, visual artist, past President of the College Art Association, and co-organizer (2002) of a traveling exhibition, Complexity. Victoria N. Alexander “has refined a fresh and roundabout style of exposition building to a strong and coherent argument. With winningly explicit self-awareness and seasoned conviction conveyed in a plainspoken and lively conversational tone, she has come out swinging at ‘postmodernist’ idols of both the intellectual and the artistic marketplace. Her thesis is original and entirely stimulating. As I understand, it is that the modern evacuation of teleology—the loss of a properly understood and hence secular notion of purposiveness in both nature and art—has led to an impoverished postmodern sensibility…” —Bruce Clarke, co-editor of Emergence and Embodiment: New Essays on Second-Order Systems Theory. Review in Configurations.